Building on a long history and culture of tolerance, the Dutch responded to illicit drugs with decades of pragmatic measures free of judgment. A central element of modern Dutch drug policy was a crucial decision to establish a legal and practical separation of cannabis -- judged to pose "acceptable" risks to consumers and society -- from hard drugs associated with unacceptable risk. This policy effectively decriminalized possession and use of cannabis and opened the door for tolerated outlets for small-scale cannabis sales that eventually took the form of the well-known Dutch "coffee shops." By all measures, the coffee shops succeeded in enabling cannabis consumers to avoid exposure to hard drug scenes and markets. Dutch cannabis consumers have also been spared the profound costs of carrying a criminal record, and the public has not had to bear the cost of incarceration for minor offenses. Drug policy in the Netherlands was characterized by a pragmatic bottom up development in which policies developed through trial and error at a local level often initiated by local officials in consultation with representatives from civil society who were supported by national policy makers. With respect to heroin and other hard drugs, the Dutch government at national and municipal level put a premium on reduction of individual and social harm. This commitment has been reflected in the government's investment in comprehensive health and social services. Low-threshold methadone and safe consumption rooms as well as needle exchange programs proliferated earlier and with higher coverage than in most of Europe. Even before these services were established, however, tolerance for sale and consumption of illicit hard drugs in designated "house addresses" greatly reduced the dangers of an open drug scene, including exposure to uncontrolled criminal elements. It also contributed to a preference for drug consumption not involving injection. The Netherlands was spared the major druglinked HIV epidemic that devastated drug users and their families in other European countries. An important element of this success, at times, was not only pragmatic national policy but also the degree of autonomy that municipal officials had to exercise of practices that did not conform to the letter of the law. None of this was without its challenges. For example, while the coffee shops provided a venue for safe and controlled consumption of cannabis without exposing consumers to harmful hard drug scenes, successive governments have not successfully addressed the so-called back door problem -- coffee shops being supplied with cannabis by an illegal market. While there were instances of popular support for the complete legalization or government regulation of the cannabis market, which would address this problem, there were always political challenges to securing such a policy. Though confidently preserving the core of their policy and continuing to focus on reduction of individual and social drug-related harm, successive Dutch governments have felt international pressure to not "step over the line" into areas such as legalization and regulation of drugs. 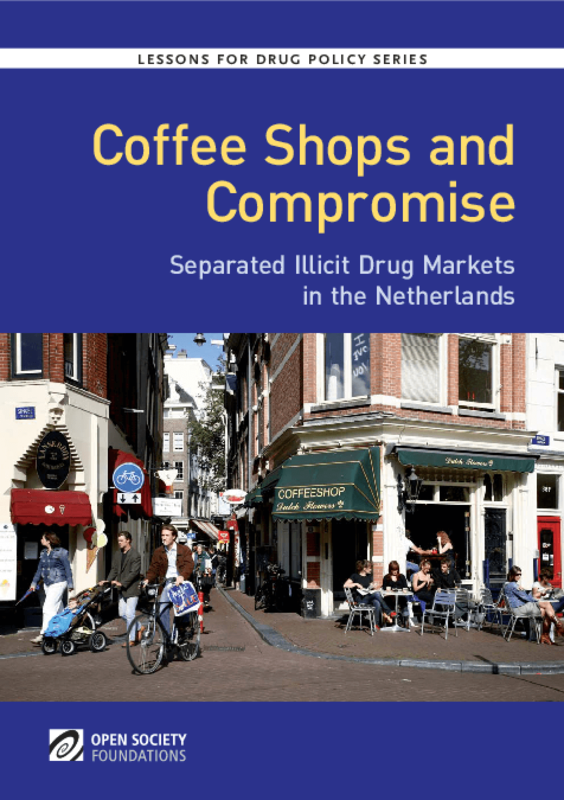 In addition, attempts to address drug tourism by making coffee shops exclusive Dutch-only clubs seem to create more problems than they solve, evoking opposition from proprietors, patrons, civil society, legal experts and city mayors alike.Nevertheless, some municipalities continue to complain of drug tourism while enjoying the substantial revenue generated by coffee shops. Copyright 2013 Open Society Foundations.